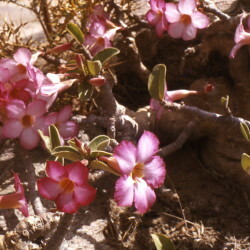 Desert Roses, or adanah in Arabic, are succulent shrubs with irregular shapes, native to northeastern Africa and Arabia. Their fleshy trunks may be buried half or entirely in the soil. They grow slowly to several metres in height with large caudexes. 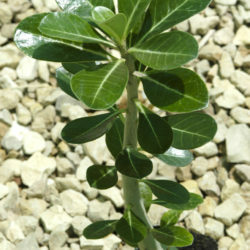 Twisted branches are sparsely covered with obovate, shiny leaves that are up to 8 cm long. They are semi-evergreen and retained in warm conditions. 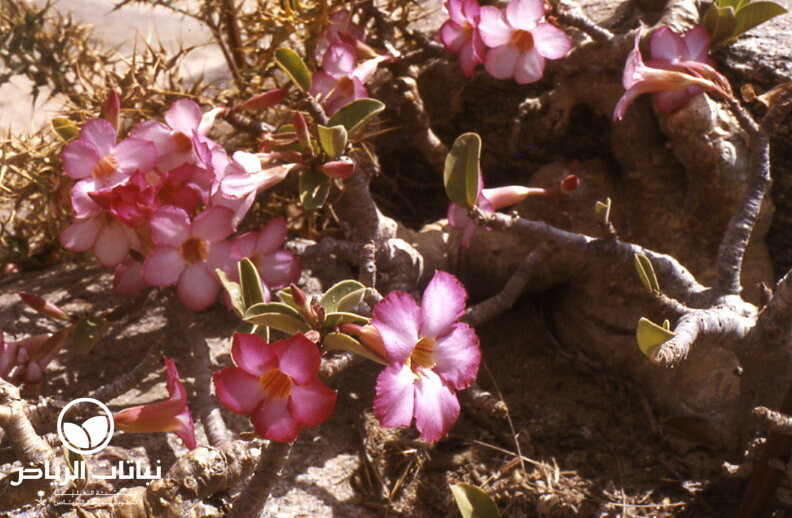 In Arriyadh, they usually undergo dormancy and drop their leaves in winter. Irrigation should be reduced at this time. 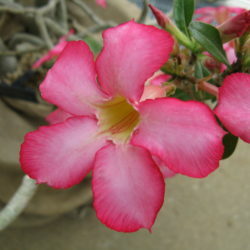 Most showy are the stellate flowers in shades of pink and magenta with white throats and a diameter of 5 to 7 cm. 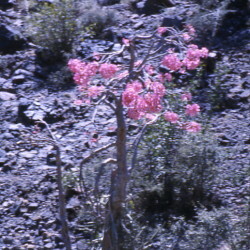 They appear in dense clusters in spring until temperature exceeds 40°C. 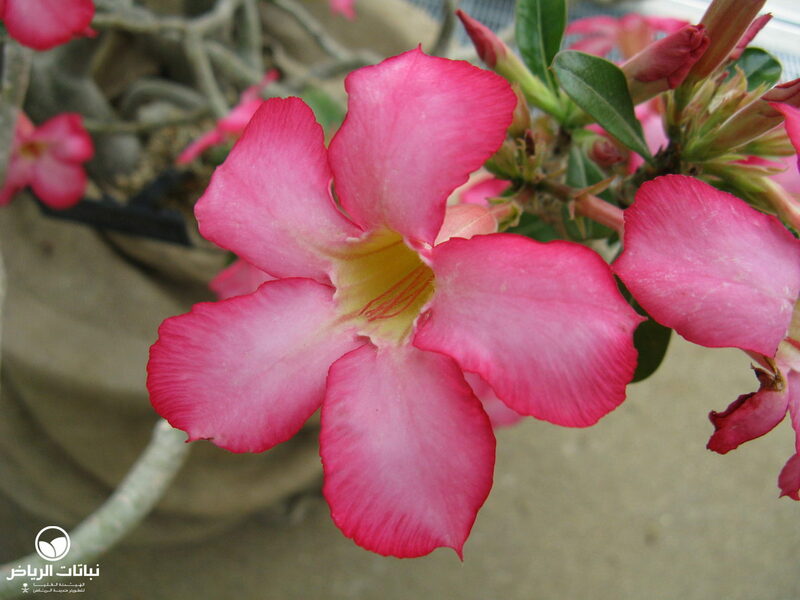 Desert Roses do excellently as indoor or container plants when they receive enough sun and not too much watering. 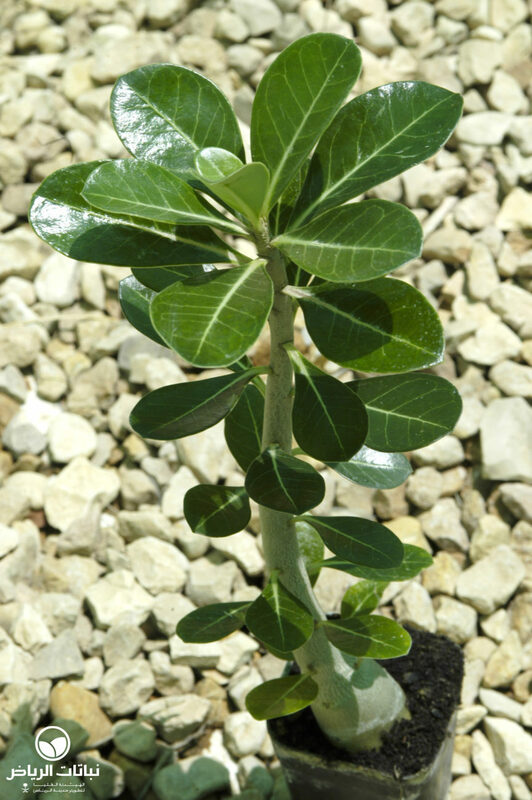 Cuttings root easily, but do not develop the typical fat, bottle-like trunks. 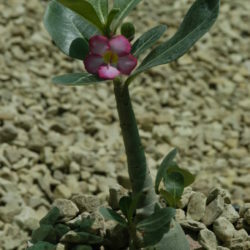 Young plants already produce flowers after one year. 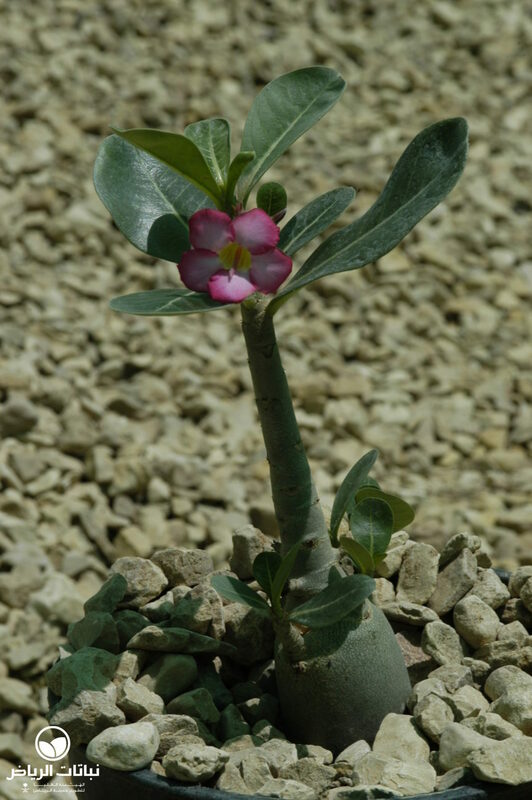 In rock gardens, Adenium takes full sun and thrives on heat. Pruning usually does not improve the plant’s appearance. If cuts are necessary, they should be done only during the dormancy in winter when the flow of sap is low. 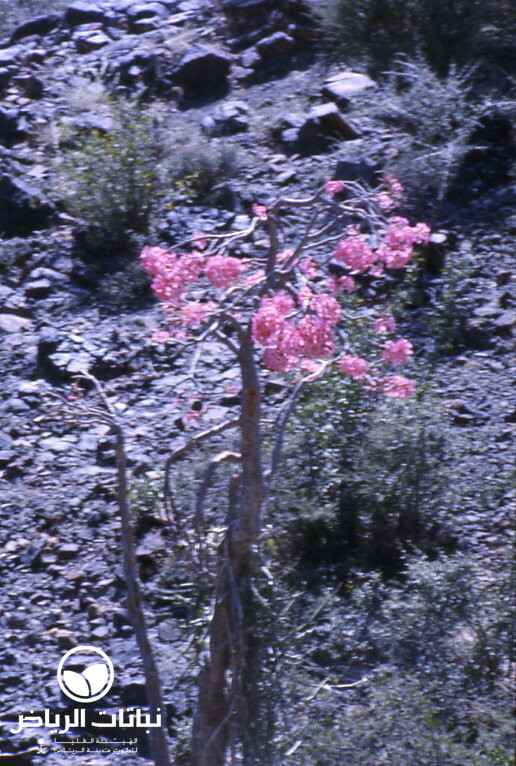 The sap is poisonous and is sometimes used on arrows for hunting big game. Decoctions are medically used to treat eczemas and infected wounds. 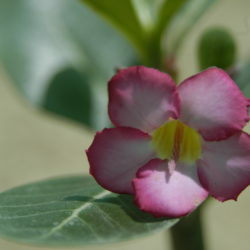 Cultivars also show flowers in deep-red or white. 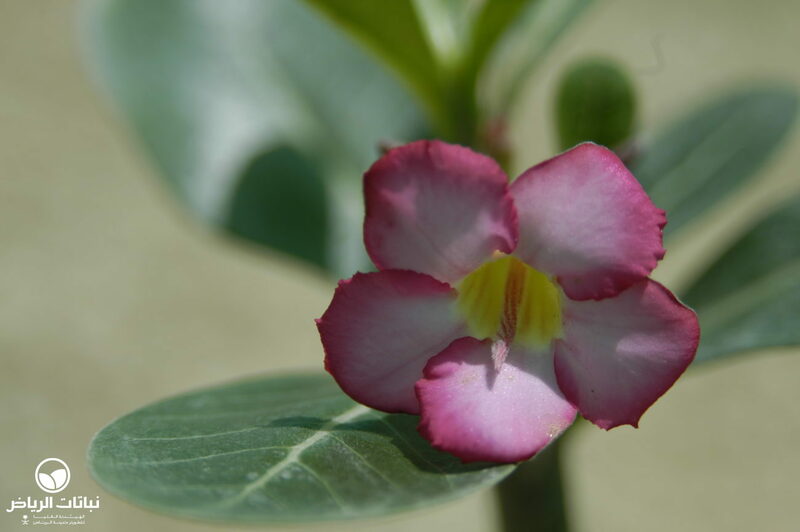 Adenium obesum is the most attractive of twelve species; some are considered subspecies.